Gold Medal winning Gruner Veltliner. Class example of this emerging variety from the Adelaide Hills. Barossa Valley and Shiraz. Hunter Valley Semillon. 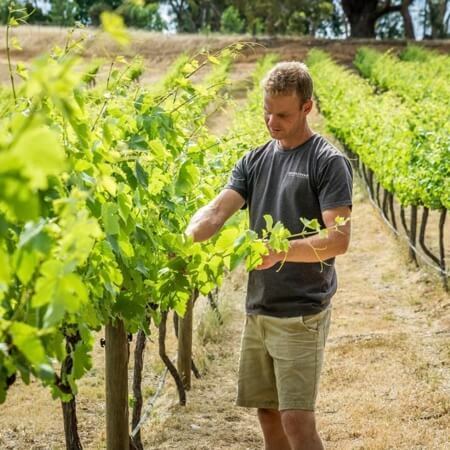 Adelaide Hills and Gruner Veltliner? Who knows, but there are a fair amount of very good examples popping up from this part of the country, just like this one from Mike Sexton and his boutique wine label, Main & Cherry. The 2016 vintage of this wine was fermented long and slow at low temperatures and sat on lees for six weeks prior to ferment to slowly enrich the texture and it's worked a treat. This won a Gold Medal at the 2016 Alternative Varieties Wine Show and was also awarded 95 points by James Halliday. This is a very good version of the variety, both varietal and easy to drink. If you want to check out this interesting Austrian variety, this would be a very good place to start. 60% Macclesfield vineyard, Adelaide Hills Vines planted 2012 Altitude 270 metres Handpicked – 27/2/16 40% Gumeracha vineyard, Adelaide Hills Vines planted 2010 Altitude 480 metres Handpicked – 24/2/16 Fermented slowly in stainless steel at cool temperatures to enhance the freshness of the fruit, and then spends six weeks on lees for increased mouthfeel and texture.